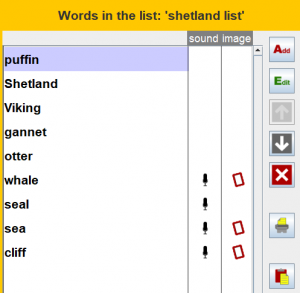 The content in Wordshark ranges from very simple words to challenging sets for able spellers. There are lots of phonics options and you can easily add you own words. Wordshark spelling course – starts with letter sounds and simple words and follows through systematically to long difficult words. use of words in context. 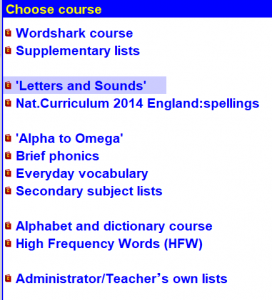 Phonics are an integral part of Wordshark. The phonics games involve blending sounds to make words as well as segmenting words into sounds and syllables. You can tick the ‘Use phonics’ box so that a dot appears under each letter representing a single sound, and a dash under two or more letters representing a single sound. You can click on a word to hear it spoken – first it will give the single sound (phoneme), followed by the whole syllable/word.